Twenty ghostly tales from the supernatural masters of the Victorian age. Wimbourne Books presents the fourth in a series of rare or out-of-print ghost stories from Victorian authors. With an introduction by author Alastair Gunn, Volume 4 in the series spans the years 1835 to 1869 and includes stories from a wide range of male authors; English, Irish, Scottish and American. Includes tales by Charles Dickens, Nathaniel Hawthorne and Washington Irving. Readers new to this genre will discover its pleasures; the Victorian quaintness, the sometimes shocking difference in social norms, the almost comical politeness and structured etiquette, the archaic and precise language, but mostly the Victorians’ skill at stoking our fears and trepidations, our insecurities and doubts. Even if you are already an aficionado of the ghostly tale there is much within these pages to interest you. Wait until the dark of the stormy night arrives, lock the doors, shutter the windows, light the fire, sit with your back to the wall and bury yourself in the Victorian macabre. Try not to let the creaking floorboards, the distant howl of a dog, the chill breeze that caresses the candle, the shadows in the far recesses of your room, disturb your concentration. 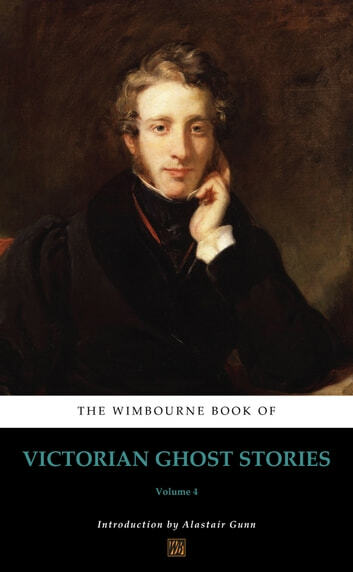 Includes the stories; The Gray Champion (1835) – Nathaniel Hawthorne; The Fortunes of Sir Robert Ardagh (1838) – Joseph Sheridan Le Fanu; Guests from Gibbet-Island (1839) – Washington Irving; Ghost Gossips at Blakesley House (1841) – William Mudford; The Grimsby Ghost (1842) – Thomas Hood; The Miniature (1844) – John Yonge Akerman; The Legend of the Weeping Chamber (1851) – Bayle St. John; The Ghost of Pit Pond (1854) – Dudley Costello; The Pot of Tulips (1855) – Fitz-James O’Brien; The Ghost in the Bride’s Chamber (1857) – Charles Dickens; The Yellow Gown (1858) – George John Whyte-Melville; The Ghost’s Forfeits (1858) – James Hain Friswell; The Haunted and the Haunters (1859) – Edward Bulwer-Lytton; Experiences of Farthing Lodge (1864) – Thomas Wilkinson Speight; The Painted Room at Blackston Manor (1864) – John Berwick Harwood; The Spectral Coach of Blackadon (1865) – Thomas Quiller Couch; The Botathen Ghost (1867) – Robert Stephen Hawker; The Ghosts at the Grange (1867) – George Manville Fenn; The Shadow of a Shade (1869) – Tom Hood; Uncle Cornelius, His Story (1869) – George MacDonald.